Neha Dhupia has joined the sets of her upcoming Bollywood movie titled Moh Maya Money in Delhi locales. 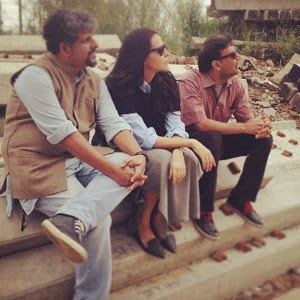 The film story is set in the backdrop of Delhi locations. on joining the schedules of the movie and the team is filled with young and enthusiastic technical persons who take selfies on the sets. The movie is being directing by Munish Bhardwaj and produced by Sandeep Narula.